BEST OF ESHRE & ASRM 2019 - ICSI: Fertilisation for all or only for male factor indications? ICSI: Fertilisation for all or only for male factor indications? 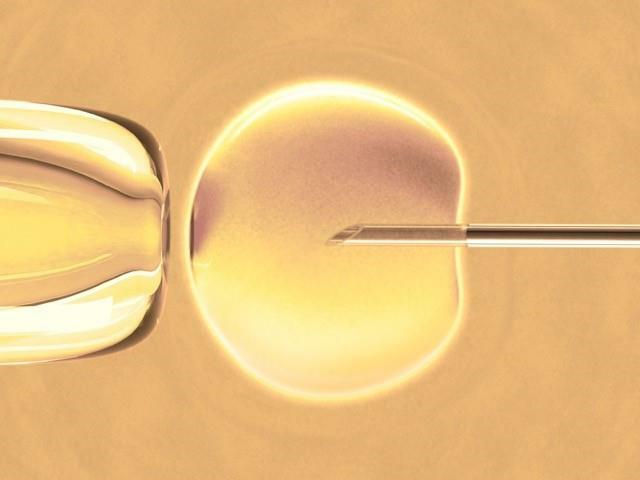 Behind a lively conference debate lay the unequivocal and ongoing trend that ICSI is generally favoured over IVF as a method of fertilisation, even in non-male factor cases. Although originally developed for male-factor infertility, ICSI is now (and has been for several years) used in around two-thirds of all ART fertilisations worldwide, including poor ovarian response and advanced maternal age. With this pattern evident in both the USA and Europe, the use of 'ICSI for all' was the subject of a lively head-to-head debate at the Best Of ESHRE & ASRM meeting in New York recently. The debate concluded - without great surprise - that ICSI is an effective, safe procedure, but so far, after 27 years of incessant and increasing use, remains without evidence to yet justify its widespread use in non-male factor indications. Palermo, now with Weill Cornell Medicine in New York, emphasised how ICSI, and not routine IVF, could explain a doubling in ART over the past 12 years in Europe. Indeed, at Cornell, the procedure is now used in around 80% of all ART treatments, compared with under a third in 1995. This rise, said Palermo, has been driven by high rates of survival, fertilisation and clinical pregnancy. Even with poor sperm motility, he added, ICSI achieves good fertilisation and pregnancy rates - 'as long as you find one sperm, no matter how long you search for it'. He argued that the technique was versatile (eg, ejaculated or dysfunctional sperm), and as safe as conventional IVF in terms of child development, based on Brussels follow-up data on motor skills and IQ at 10 years old. Risk of metabolic syndrome was the same for ICSI children as for IVF, although Palermo did note a recent study showing lower HDL cholesterol levels in ICSI boys (despite similar cardiometabolic risk). In a strong rebuttal against the idea of ICSI-for-all, Luca Gianaroli from the SISMeR clinic in Bologna and a former Chairman of ESHRE, said that ICSI 'works perfectly, but that's not the point.' The point is, he said, its 'use and abuse' in non-male factor indications, citing Palermo's own research that found pregnancy rates for ICSI to be no higher than for conventional IVF in such cases. (3) A body of evidence including a large-scale Australian study has shown that ICSI, when used in cases of female infertility, does not increase the cumulative live birth rate, and does not improve outcomes for advanced female age. Evidence suggests that, with low oocyte yield, fertility rate is higher with one oocyte for ICSI than for IVF, but this outcome goes into reverse with more eggs available - and thus warns against a policy of 'better to use ICSI because the quality of eggs is no good'. Cost, said Gianaroli, is also a factor when clinics use ICSI in all indications. Global ICMART data from 2011, show that in 65 countries 741,656 ICSI and 373,616 IVF cycles were performed, with 262,450 births from ICSI and 132,212 from IVF. Countries including Egypt and Malta have increased ICSI as a policy to prevent fertilisation failure in non-male factor cases. Similarly, according to ESHRE's data from European registries, the sue of conventional IVF fell from 60% to below 30% of ART cycles, while ICSI rose from to over 60% between 1994 and 2014. Gianaroli calculated that, assuming half of all ART patients need ICSI for male factor infertility, more than 100,000 additional ICSI cycles (excluding PGT) were carried out during that time in Europe without a male factor indication. In his estimate, this represented up to 45 million euros spent 'for nothing', given that ICSI does not improve pregnancy rates in such cases. This affects the national health systems in countries with reimbursement, said Gianaroli, and could prevent people seeking treatment in developing countries. ASRM guidance is that ICSI 'could be' used for all kinds of fertilisation failure but does not assist in all cases. What is needed therefore, said Gianaroli, is not new guidance but 'just common sense'. 1. Palermo G, Joris H, Devroey P, Van Steirteghem AC. Pregnancies after intracytoplasmic injection of single spermatozoon into an oocyte. Lancet 1992; 340: 17-18. 2 Henningsen AA, Gissler M, Skjaerven R, et al. Trends in perinatal health after assisted reproduction: a Nordic study from the CoNARTaS group. Human Reprod 2015; 30: 710-716. 3. Li Z, Wang AY, Bowman M, et al. ICSI does not increase the cumulative live birth rate in non-male factor infertility. Human Reprod 2018; 33: 1322-1330.1.